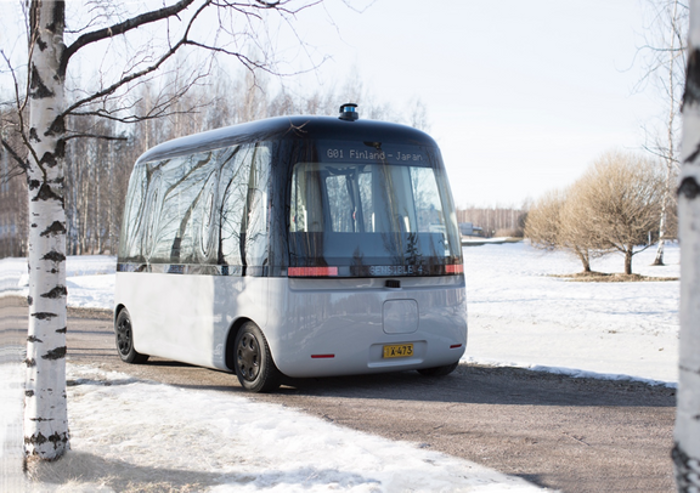 Finnish autonomous driving company Sensible 4 and Japanese lifestyle retailer MUJI have launched GACHA, the first autonomous driving bus that is suitable for all weather conditions with a view to begin public-facing operations in April. 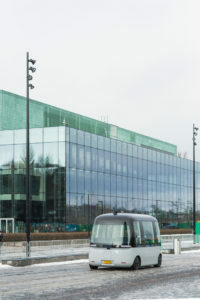 The GACHA all-weather self-driving shuttle bus has been developed as the result of a collaboration between Finnish autonomous driving company Sensible 4, which provided the technology for the vehicle, including its on-road positioning, navigation and obstacle detection systems to allow year-round autonomous driving regardless of the weather, while MUJI has provided the vehicle’s design, developing the functional aesthetic and optimum user experience. GACHA’s debut test-drive took place in front of the new Oodi Helsinki Central Library, a significant site in the Finnish capital. After the preview, GACHA will begin operations for the general public in the city of Espoo in April, rolling out to Hämeenlinna, Vantaa and Helsinki later in 2019. MUJI and Sensible 4 are currently planning to produce the first GACHA fleet for use on public roads in 2020 for various cities in Finland and abroad. The partners are aiming for the self-driving shuttle fleets to operate as a part of the pilot cities’ existing transportation systems in 2021, with a long-term objective of establishing partnerships with other pioneering cities around the world. Aside from its all-weather capabilities, MUJI’s design also differentiates GACHA from similar projects, in particular the vehicle’s lack of a front or rear. The interior seating follows the soft rounded square shape of the bus, creating more space for passengers while the LED light belt serves as both headlights and an external communication screen. GACHA has been designed for a world that is not based on private car ownership, but envisions fleets of shared driverless vehicles that can improve public mobility in order to revive and free up cities for a cleaner and more sustainable future. The shuttle uses a full stack of autonomous driving sensors: lidars, radars, 360° camera vision, high precision GPS, an inertia unit, and control over 4GLTE/5G cellular networks. The 4WD electric-powered vehicle has a maximum autonomous top speed of 25mph (40km/h) and a range of 62+ miles (100+km), with fast wireless charging as an option. GATCHA has a 16-person capacity, with 10 seated and six standing, and easy access for people with limited mobility. “The GACHA development got started when our team, working back then with the first generation of robot buses, noticed that they just don’t perform at all even in light rain, not to mention the typical winter conditions in Finland,” explained Harri Santamala, CEO of Sensible 4. “Completely autonomous self-driving technology is not here yet. 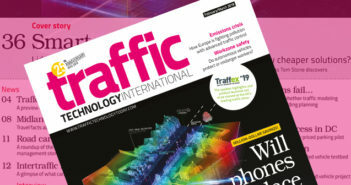 Most self-driving cars can operate only in ideal weather conditions and on well-marked roads. This is what we have managed to change through repeated tests in the harsh winter conditions of the Finnish Lapland.